We are closer to the holidays, and there is nothing better than fill our home with homemade delights. The homemade cookies are a necessity in my house, we could say that almost every day I bake cookies. These chocolate and nuts are delicious and very easy to do. Surprise your family with homemade treats, will change the way in which they enjoy meals at home. In a bowl mix the flour with the baking powder. Cream butter with both sugars. Add egg, vanilla and flour gradually, when it well incorporated add the chocolate chips and mixed nuts. The dough will be soft. Spoon the mixture into a tray lined with parchment paper. Immediately place on a rack to cool completely. This recipe makes 18 cookies. 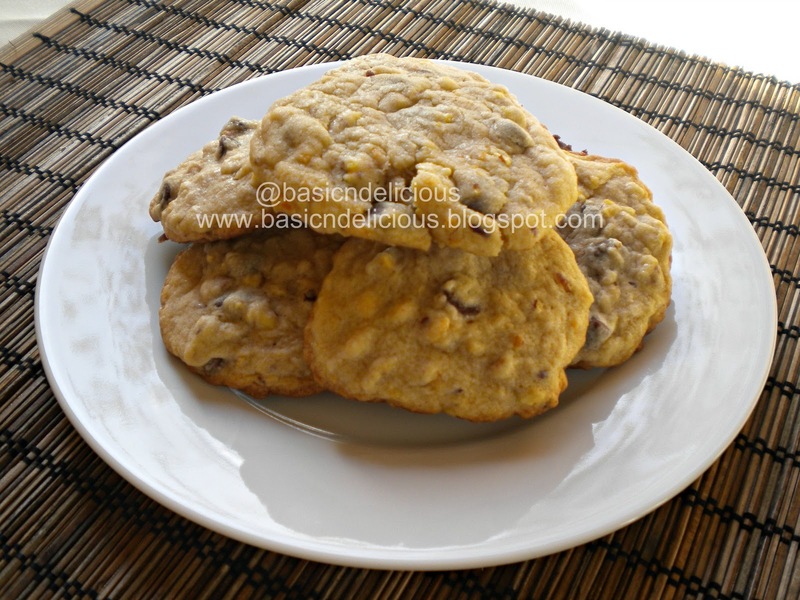 This entry was posted in Uncategorized and tagged chocolate, Cookies, nuts by Kathia Rodriguez. Bookmark the permalink.